If you haven’t played an under the sea themed game, then there is no better place to start than this Realistic Games offering. Step inside the shipwreck that is home to Double Your Dough and let’s see what sunken treasure awaits you amongst the fish and the coral. 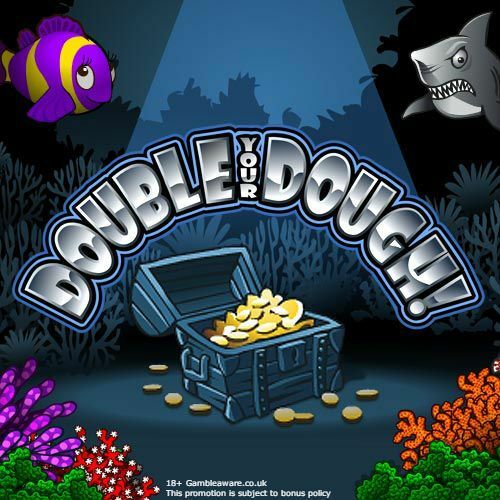 Double Your Dough is a 5-reel, 20 pay line slot offering a tentacle curling 95.11% RTP for divers searching for riches below the waves. Symbols include various fish, a crab, a seahorse and there is of course the card symbols too for the lower values. Bet Amounts – Betting begins at 20p per spin and can be increased to a maximum of £100 per spin. You can amend your bet by hitting the smaller button above the spin tab. Here you will also see how the pay table changes as you amend your bet amount. 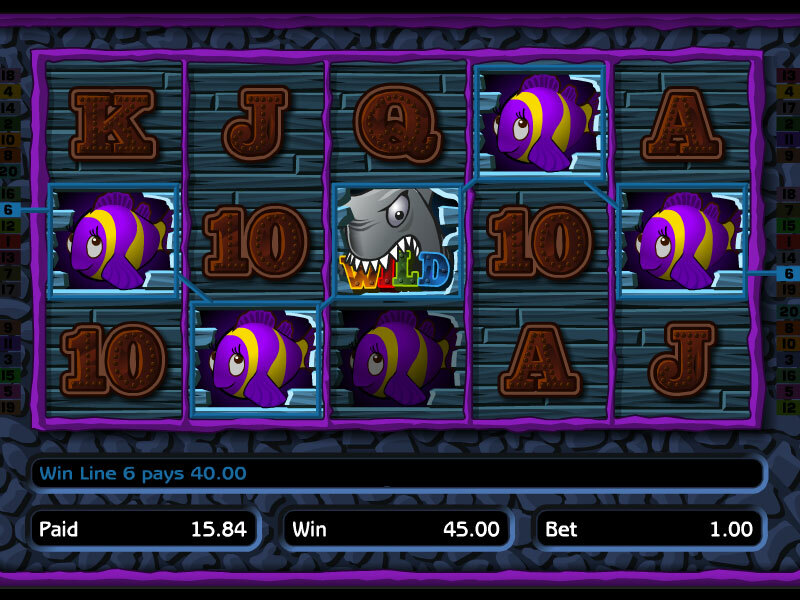 Wild Symbol – The shark is your wild symbol and he doubles as the highest paying symbol in the game, as well as substituting for all other symbols except the scatter. Scatter Symbols – A gold coin is your scatter symbol and landing three or more of these will trigger the bonus feature for you. As well as this if you land 3, 4 or 5 scatters anywhere on the reels, you will be allocated a scatter win as well as your line win. 5 scatters will award a x12,500 coin win. Bonus Spins Feature – Upon landing three or more scatter symbols you will be allocated 10 bonus spins to play through, as well as those scatter wins. During the bonus spins round watch out for the Double Your Dough logo. If it lands on the centre reel during the bonus it will double your total win for the round, which could lead to potentially big wins. The one let down is that there is no way to retrigger the spins from the bonus, as you can trigger it from the base game only. As far as Double Your Dough goes, there could have been more features to hold our interest in the game long term. That being said for a quick play this is absolutely perfect, especially if you have ten minutes to kill. The game is well drawn, and the animations are amusing. The wins come fairly regularly too which is what you want from a game like this. When you do enter the bonus round it can be quite profitable when that Double Your Dough logo lands. In all the game is fun, quirky and brings the wins to the table. The only negative was the lack of extra’s available, we felt a few sea themed mini games would have worked perfect here.